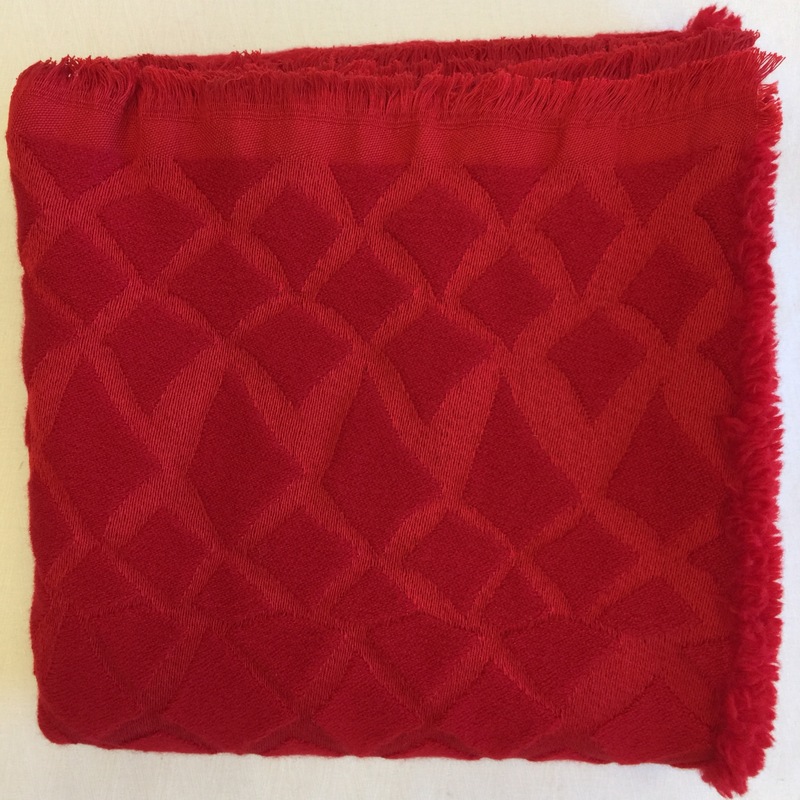 Floating Lattice Red Merino Wool Fringed Throw: 51” x 80”, 69% Mercerized Egyptian Giza Cotton, 31% Merino Wool. President Calvin Coolidge’s wife Grace wore a deep red fabric produced by Biltmore Industries. Its color took on the name “Coolidge Red.” In collaboration with Dianne Kepley and The North Carolina Homespun Museum, The Oriole Mill has re-introduced Coolidge Red for the modern era.